We aspire to be the world's leading manufacturer, supplier of raw chemical materials, to create the value of China manufacturing! High Purity, Good Dispersion, High Temperature Resistance, Good Resistance To Salt Fog And Weather Resistance. Powder Coating, Paint, Primer, Decoration Paint, Volume Steel Coatings, General Industrial Paint, Plastic, Rubber, Chips, Friction Plate, Ceramics, Glass, Electronics, Cosmetics, X-rays, Gamma Rays, Etc. Liangjiang Brand-superfine barium sulfate paint is made through the advanced domestic and international production process, with ultra physical and chemical processing of selected barite. 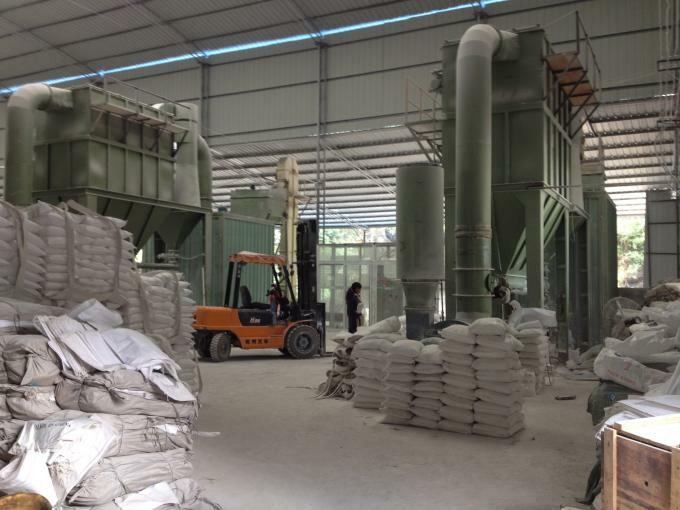 Thanks to the advanced production technology, the particle size is strictly controlled in a narrow range; the use of advanced drying technology, the physical properties of the products are excellent, of good dispersion and affinity in the application process with other intermediary agent. Coz of higher whiteness and purity, and no other mechanical impurities, our ultrafine barium sulfate is of the top quality and performance in domestic products. It can absorb X rays, gamma rays, and give the high material the density and surface finish, which is widely used in paint, ink, paint, plastic, rubber, chips, friction plate, ceramic, glass, electronics, cosmetics, medicine, food and other fields. ◇ High purity, good dispersion, high temperature resistance, good resistance to salt fog and weather resistance. ◇ Tiny particle sizes, improve the mechanical properties of the products. ◇ Low oil absorption, good liquidity. ◇ High whiteness, neutral color, color stability being help preserved for a long time and reduce the amount of the pigment. ◇ High surface gloss and brightness. Widely used in paints, inks, coatings, plastics, rubber, chips, a friction plate, ceramics, glass, electronics, cosmetics, medicine, food and other fields. 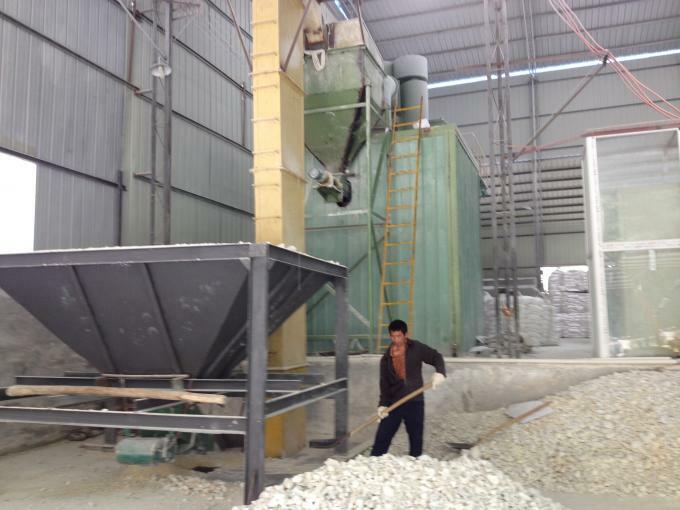 1. paint, paint production of barium sulfate characteristics requirements. High whiteness, easy dispersion, black spots, and resin have good affinity, improve the powder rate, can significantly improve the surface gloss, leveling, hardness, impact resistance, adhesion. Good particle size distribution, good dispersion and anti sink, adding high gloss latex paint does not affect the gloss, color concentration, bright degree. Stable chemical stability, good dispersion, oil absorption, with the space effect, reduce the amount of pigment. Introduced in can increase the gloss, liquidity, such as art paper in white and transparent colored paper. Part of titanium dioxide available double barium sulfate instead of without losing its luster. Barium sulfate as an extender pigment is widely used in paint, plays a very important role to improve the coating's thickness, abrasion resistance, water resistance, heat resistance, surface hardness, resistance to impact etc.. 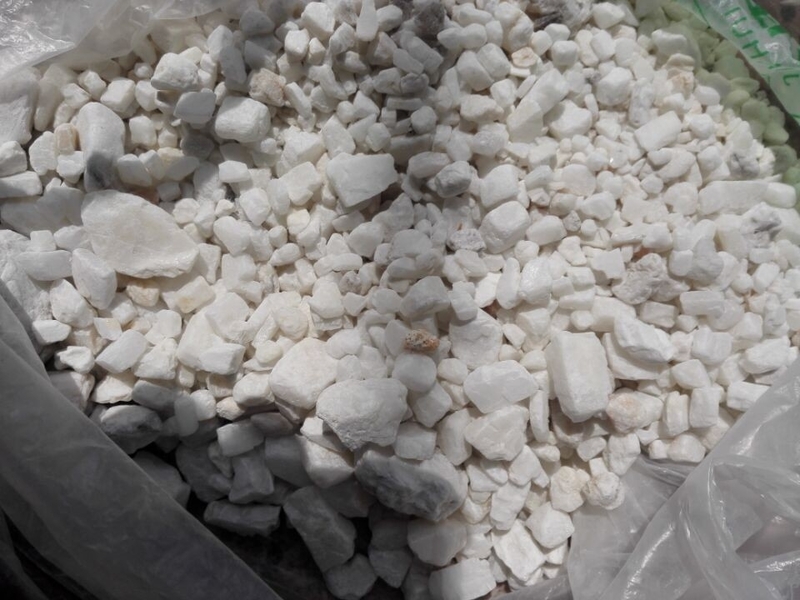 In addition, barium sulfate in the wavelength range of 300~400Lm have very high reflective, can protect the film from photoaging, is an effective and inexpensive inorganic white light stabilizer. Using special technology is made of super fine barium sulfate has many other similar products do not have the characteristics. The acicular crystal structure make it become good flatting agent, and can enhance the coating leveling. It can be used for self clean coatings were used as reinforcing agent; due to the low amount of the oil suction, high filler content, so can decrease the cost of coating can be used for water paint, primer, intermediate coat, oil paint. Use it to replace the water paint in 10% ~ 25% of titanium dioxide. The results improve the whiteness, hiding power did not decline. From the table 1, we can see that the addition of ultra-fine barium sulfate coating, the hiding power but increased, the basic unchanged whiteness. Put the different formulations of spray paint brush on the cement board, in the sunlight aging machine for artificial aging test. As a result, original production formula discoloration time for 580 hours, existing production formula discoloration time is 12 hours, after adding superfine barium sulfate the weather resistance of paint film can be significantly improved. Due to the small particle size of ultrafine barium sulfate, the agglomerated morphology also determines the density of not less than the general barium sulfate, so it overcomes the ordinary barium sulfate precipitation, easy lamination defects. The latex paint test samples placed a year without obvious stratification, settlement and the stability is good. In addition, the film in the film in the water resistance, wet scrub, anti pollution, etc..
1.4 to 1 ~ 8 Lm barium sulfate shattering particle size, can replace part of titanium dioxide when applied in latex paint, whiteness And hiding power did not decline, although after smashing the barium sulfate is fine, but it is still on the agglomeration of the agglomeration of medium sized particles. Because of precipitated barium sulfate in formation, the crystal size is between 0.2 ~ 0.8 Lm, the agglomeration of particles clearance is too small, so that scattered resin could not enter into the agglomeration in the body, the results when the paint film after drying, these small air gap being preserved, in the form of air, thus improve the refraction between the various components. In this film, the material's refractive index is as follows: 2.76, titanium white polymer is 1.55, the water is 1.33, 1.0 air in the wet film And dry film, mainly from the following several refractive index difference determines the size of the covering power: titanium white - polymer = 2.76-1.55 = 1.55, titanium white - water = 2.76-1.33 = 1.33, titanium white - packing = 1.11, titanium white - air = 1.76. Thus it can be seen that as a result of the existence of ultrafine barium sulfate powder, after the coating film, in addition to other refractive index difference, And the difference of the titanium white And the water's refractive index. After film into a dry film, due to the evaporation, the micro air bubble in the paint film, And produced between titanium dioxide and air refractive index difference, objectively increased the scattering ability of titanium dioxide, thereby increasing the hiding power, so superfine barium sulfate can replace part of titanium dioxide, and hiding power is not decreased. Adhesive: good rheological property, high filling and chemical resistance, make barium sulfate is suitable for adhesive, unsaturated polyester and polyurethane system, etc. Printing ink: low wear resistance, high gloss and color stability, low coherence, and combined with its easy liquidity makes barite powder is suitable for the high quality of printing inks, barium sulfate recommended for people with high optical activity of ink.Wood and paint: ultrafine barium sulfate with low coherence, optical characteristics of low dispersion and fine particles, especially suitable for paint paint, varnish, paint, etc. According to the barium sulfate has the chemical resistance and weatherability. High fill paint and thick slurry coating: coating series can be applied to all, for example, primer, high build coating all types, such as its low specific surface area and particle size of division and easy mobility, make ultra-fine barium sulfate in the machining process has low wear resistance, ultra-fine barium sulfate recommended for primer surface automatically, even when the high fill also keep a good uniformity and smoothness. Paint: ultrafine barium sulfate is better than that of most other filling agent, especially in chemical resistance coating. Its inertia, insoluble in water, acid, alkali and organic agents. Excellent gloss and granular precision makes the paint in long-term exposure can be protected. Ultrafine barium sulfate recommended for paint, it can increase the surface hardness, color stability. Because professional, so we do better! 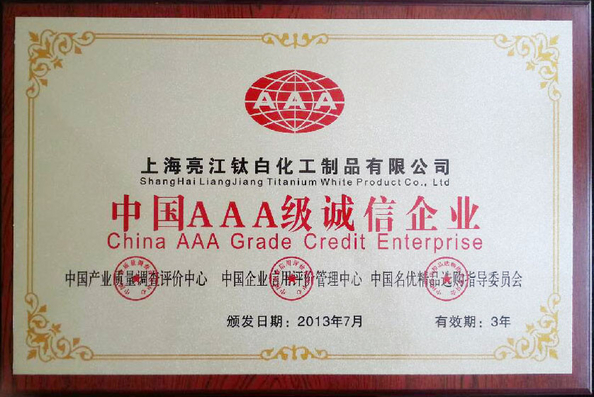 we aspires to be the world's leading chemical raw materials supply service, the value of that made in China should have! Application: Powder coating, paint, coatings, primer, decorative coatings, coil coatings, general industrial coatings, plastic, rubber, chips, friction plate, ceramic, glass, electronics, cosmetics, X-ray, gamma rays, and other fields. 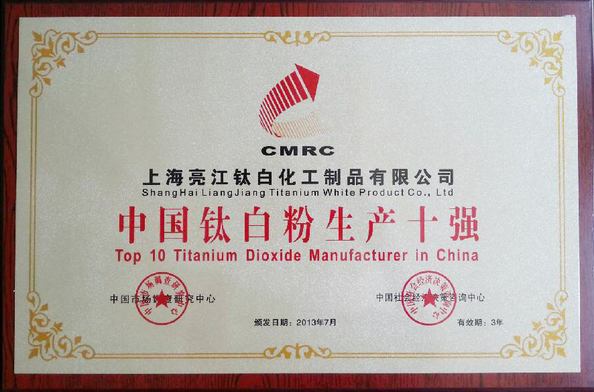 China Good Quality Chloride Process Titanium Dioxide Supplier. Copyright © 2015 - 2019 lj-group.com. All Rights Reserved.